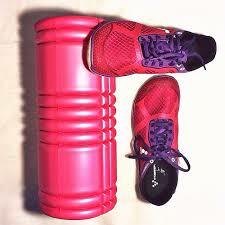 Does a Foam Roller decrease muscle soreness? What is the effect of foam rolling before training? What is the effect of foam rolling after training? Will it increase flexibility? Lower muscle soreness? Speed up recovery? 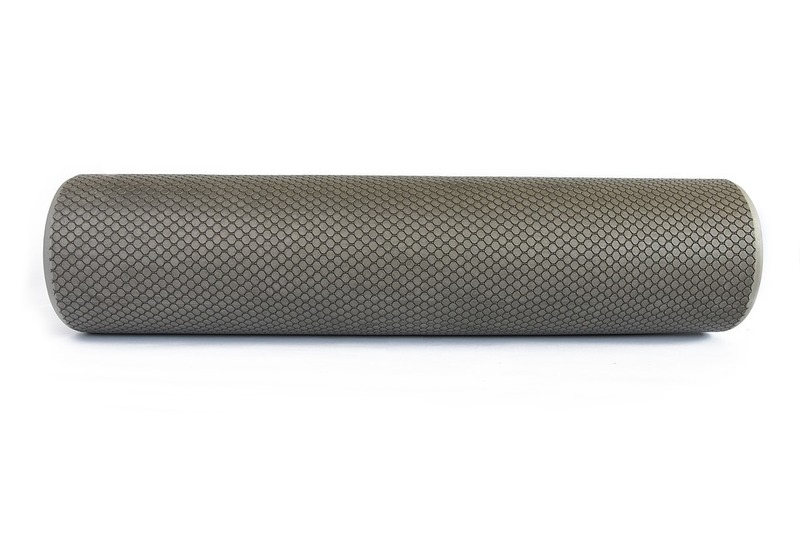 How long should I use the foam roller? A often heard claim is that foam rolling increases flexibility without a loss of strength. Thereby making it a good alternative for static stretching, because static stretching is good for increasing flexibility but is known to decrease tension in the muscle. This is why static stretching will result in a loss of strength (read more about that HERE) causing a downfall in performance. So, will it have a positive effect on performance? Likely not, there are only a few studies that show a increase in strength, jumping power and agility [6,9]. Besides, those studies were done with very few participants (11 and 14), this is a very small group for scientific testing. So, will it have a negative effect on performance? Likely not, because although most studies failed to show a positive effect they also failed to show a negative effect. This is good news because it shows that foam rolling does not lower strength, jumping power or agility [2,5,11,16,17,18]. To add on to that: there are a lot of studies showing an increase in flexibility aka range of motion [5,6,9,11]. Confirming the claim that foam rolling does positively influence flexibility without the loss of strength. Looks like foam rolling could be a good add-on to your warming-up if you feel stiff and have restricted range of motion. There is one exception: a foam roller can lower muscle power output if you roll the opposite muscle which you target during the workout [19,20]. E.g if you foam roll your hamstrings before training your quadriceps. Rolling a muscle is often painful leading the muscle to contract, when this happens the opposite muscle (called the antagonist) relaxes. This is called reciprocal inhibition. The effect will diminish if you also roll the muscle you want to target during your training. So not only roll your hamstrings but also your glutes and quads. Most research [1,3,4,5,7,8,9,11,12,13,15] confirm the statement that foam rolling will increase flexibility. Although it is not as effective in increasing flexibility as static stretching. Combining the two seems to give the best result [1,12,15], research done by Jakob Skarabot  shows that only foam rolling (3x30sec) will give an increase of 6.2% whereas foam rolling combined with static stretching increases flexibility with 9.1%. Delayed onset muscle soreness (DOMS) can be effectively treated by foam rolling [3,10,14,21,22,23]. The mechanism behind it remains questionable, the claim that it would clear out myofascial restrictions is not supported. One of the main reasons for doubt is the fact that the pain lowering effect of massaging locally is also found by massaging non-locally [21,22]. Research done by Aboodarda  included 150 participants which were tested for tender points in the calf muscles. After the examination the participants were divided in to 5 groups: 1) deep foam rolling of the tested calf, 2) deep foam rolling of the opposite calf, 3) light foam rolling of the tested calf, 4)manual massage of the tested calf or 5) control group (no intervention). After the intervention the pain threshold increased by 19.2% in the local foam roll group(1) and by 15.9% in the non-local foam roll group (2), the manual massage group (4) increased by 10.9%. This effect can be explained by the way the nervous system processes pain, the pain you experience is nothing more than a signal produced by pain sensors. The signal gets transferred to the spinal cord and send to the brain were it gets processed, the brain makes the decision if you actually experience the pain or not. When the nervous system collects a lot of pain signals, the pain threshold increases, this is a way of the nervous system to cope with the pain. Because foam rolling itself is painful, the pain threshold increases, resulting in less pain afterwards, this mechanism is called pain modulation and also works non-locally. There is not much research done for a good conclusion, two studies I found did give a faster recovery of: jumping power, sprint time and strength [3,14] 24 hours after a heavy training. Further research is needed. But because of its benefits regarding flexibility/mobility and muscle soreness, there are still enough reasons to implement foam rolling in your daily regimen. Because foam rolling itself is painful, the pain threshold increases, resulting in less pain afterwards, this mechanism is called pain modulation and also works non-locally. 3 sets of 30-60sec per muscle group is proven to be most beneficial. The Acute Effects of Deep Tissue Foam Rolling and Dynamic Stretching on Muscular Strength, Power, and Flexibility in Division I Linemen. ROLLER MASSAGER IMPROVES RANGE OF MOTION OF PLANTAR FLEXOR MUSCLES WITHOUT SUBSEQUENT DECREASES IN FORCE PARAMETERS. Roller-massager application to the hamstrings increases sit-and-reach range of motion within five to ten seconds without performance impairments.